Today, we turn our gaze towards music by taking a look at James Taylor’s “A Christmas Album,” also released as “James Taylor at Christmas.” Remember to visit this page at any time for a collection of all 25 Reviews of Christmas articles. It just wouldn’t be Christmas without James Taylor. I realize that statement might require some justification, because Taylor has only ever recorded one Christmas album, released in two different forms and originally as a Hallmark Cards exclusive promotional item. So it’s not exactly his most iconic work. But in my household Taylor is synonymous with Christmas. My parents have a vast collection of Christmas music, and near the end of every November, I am asked to go down into our storage room, find the box where it’s all stored, and sort it on the shelf near the stereo to fulfill our yuletide musical needs. When I say vast, it’s one of the rare instances when I’m not floating on a cloud of hyperbole: my parents have a lot of Christmas music. I’d tell you all about it, except that for many years now, there’s only one record I ever hear on that stereo in December, and it’s James Taylor’s “A Christmas Album.” We have dozens if not hundreds of festive CDs we paid good money for, and yet the one that gets the most circulation is the one I’m fairly certain my father pirated back in the pre-BitTorrent days and burned onto a now-worn CD-R. I’m surprised that CD hasn’t yet melted or developed debilitating scratches. 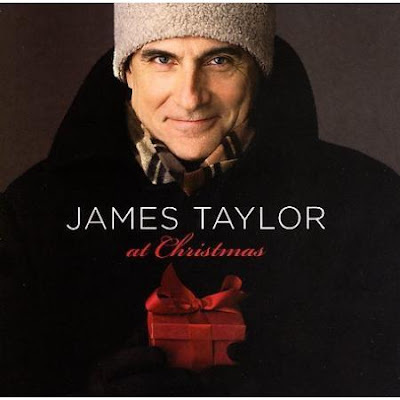 In fact, I wouldn’t even be shocked to learn that every Christmas CD we own is actually a copy of the James Taylor disc, placed in a variety of jewel cases to give an illusion of musical diversity. The sonic atmosphere of Christmastime in the Lack household is defined by a non-stop loop of eleven particular tracks. When my Mom wants to mix things up, she hits the shuffle button. For eleven months out of the year, I don’t like James Taylor. I respect him as a talented musician, but his original work has never caught my ear; when I try listening to a Taylor album (my parents have plenty of those too), all I hear is the same song over and over, performed with an identical set of gentle, bland inflections. It’s similar to how I feel about Josh Groban, except that with Taylor, I’m merely unimpressed, rather than stricken with a violent desire to punch the singer in his smug, overly-vibrato-voiced face every time I hear him sing. 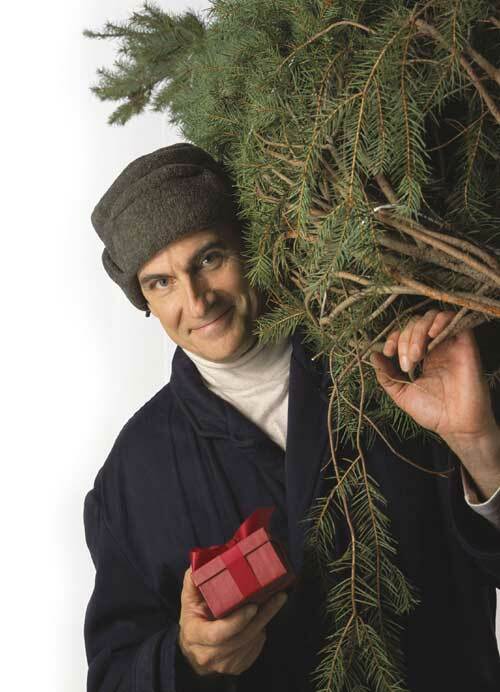 When December rolls around, though, I am more than happy to listen to James Taylor on a loop, and the fact that I have no earthly choice in the matter is only ten percent of that, fifteen tops. 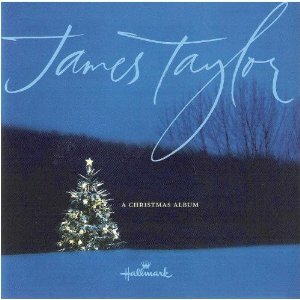 His Christmas album really is one of my favorites, an effective blend of the upbeat, festive numbers we all know and love like “Winter Wonderland” or “Jingle Bells” alongside more thoughtful, spiritual songs such as “In the Bleak Midwinter” or “Who Comes This Night.” There are some rough spots, particularly in the middle, but on the whole, the selection of songs is very strong, and Taylor’s performances are excellent. He voice and style is a perfect match for the material, and the album as a whole paints a very vivid portrait of the Christmas atmosphere and the meaning of the season. In fact, the ‘meaningful’ tracks are the best ones. His takes on festive pop songs tend to underwhelm, with numbers like “Santa Claus is Coming to Town” struggling to find a unique voice or, in the case of “Baby It’s Cold Outside” and “Jingle Bells,” relying too heavily on gimmickry. But when the material is serious, Taylor’s performances are thoughtful and precise. “Go Tell it on the Mountain,” for instance, is a spiritual whose meaning is often lost trying to play up the song’s catchy sing-along aspect; Taylor, however, puts the depth of the lyrics first, allowing the verses to be soft, contemplative, and moving, modulating into a deserved triumphant mood at the chorus. I certainly can’t claim to have heard every recording of this classic, but none have ever hit me in the way Taylor’s does: he understands the song in a way few artists do. The same goes for “In the Bleak Midwinter,” “Some Children See Him,” and “Who Comes This Night.” Unlike “Mountain,” these gorgeous pieces are rarely covered by popular artists, and it’s a real treat to hear Taylor use every bit of his talent bringing them all to life. The vocal control he exhibits on these songs is astounding, telling a story and conveying a message through his performance. The production is always precise, lending the song whatever instrumentation and overdubbing it needs to play best without ever becoming overbearing. Taylor even lends his deep musical insight to pieces like “Deck the Halls” and “Winter Wonderland,” finding a level of depth in songs I typically consider hollow. As I said above, not every song works, but on the whole, Taylor’s selection of songs paints a very three-dimensional view of the season. Rather than settle for jubilantly celebrating the season, he examines why we celebrate and where that jubilation comes from. That’s what makes the album such a unique and rewarding experience: there’s a meaningful edge to the material that says more about Christmas than most modern musicians ever approach. It’s the kind of music that sticks with you. I associate many fond Christmas memories with this album, and I think I would whether or not my parents decided to swap the CD out from time to time. Play any note from this record, and I will instantly think of a dark winter’s eve, snow resting comfortably on the deck outside, the mountains behind our house drenched in white, and the fire by our stereo burning brightly.